WARNING: this is not a book for scaredy kids! As Tom Hassler, Hope of the Sea People, races to an oil spill from a wrecked ship to help the terrified, oil-soaked birds, his mind is already on a holiday. Somewhere nice and warm. After all, his grandmother has promised – and he knows he’s earned it. But when he finds himself on a tropical island with his best friend Lydia and an aunt he’s never met, it all seems too good to be true. And it is. Just offshore is Illiya Island – Snake Haven, home to a secretive snake-worshipping cult. 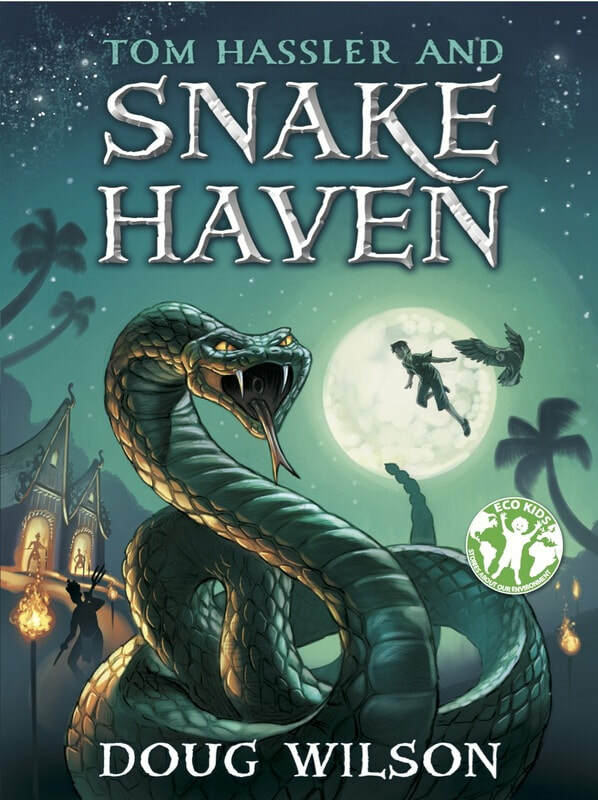 Mysterious giant saltwater crocodiles lurk, and when raiders strike, Tom must draw on every bit of courage and skill to save his friend from the evil snake-worshippers. But has he bitten off more than he can chew? This time, will courage be enough? Doug Wilson has worked at the forefront of medical research for many years and in 2013 received the Distinguished Biotechnologist of the Year Award. However, his first love has always been the telling and writing of stories. Since an early age Doug dreamed of being an author, but struggled with dyslexia when trying to write. Sidetracked by a successful international medical career, he pushed Tom into the back of his mind, until he finally began telling stories once again to his grandchildren, and found himself recounting the fantastic tales of the boy-adventurer, Tom Hassler.